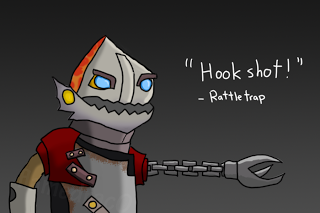 It is a poor tradesman who blames his tools, and Rattletrap was never one to make excuses. After burying his father among the ruins of their village, he set about to transform himself into the greatest tool of warfare that any world had ever seen. He vowed to never again be caught unprepared, instead using his talents to assemble a suit of powered Clockwerk armor to make the knights of other lands look like tin cans by comparison. Now Rattletrap is alive with devices-a small but deadly warrior whose skills at ambush and destruction have risen to near-automated levels of efficiency. An artisan of death, his mechanizations make short work of the unwary, heralding a new dawn in this age of warfare. What time is it? It's Clockwerk time! A DPS skill to all enemies nearby. A very good skill to cast while there is an enemy that cogged (see skill 2). This skill is a main skill to lock down your target. A global skill do damaging enemy wherever he is. Can also useful for farming creeps. Can also useful for de push. You can also max this skill early for harassing enemy in your lane. Fires a grappling device rapidly at the target location. 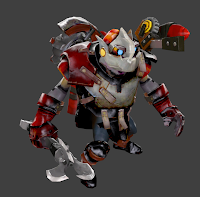 If the hook hits a non-neutral unit, Clockwerk launches himself into the target, stunning and dealing damage. Any enemies Clockwerk collides with along the way are subject to damage and stunned. 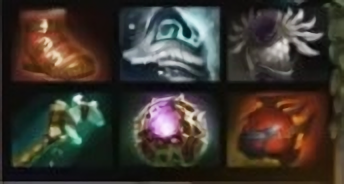 Upgradable by Aghanim's Scepter. Hookshot is a high skill - required ability that needs practice to can achieve 100% accuracy. This is your team's initiating skill. Remember to place a cog after you successfully hook a target. Why maxed Battery Assault first? Cast this skill on a lonely target inside your cage, and let the fireworks burn your enemy. Why maxed Rocket Flare before Power Cogs? You need the Rocket flare to do your job on early-mid game (harassing, farming, killing), you can use this to explore the map too. 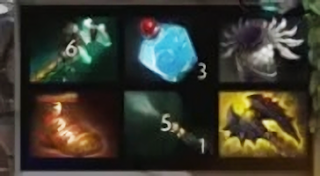 Clock starting position is usually in the offlane (top lane for radiant / bot lane for dire). Altough a competent player can play clock in the mid lane too. But as a starter better going the standard way which is in the offlane. 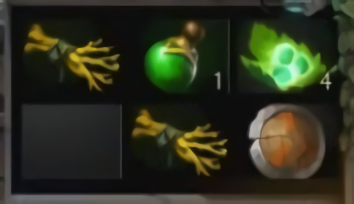 The goal of the offlaner is to get levels without thinking much about golds. Last hitting in the offlane is hard beacuse the enemy support will zone you. 1. Stacking your regenerative items like tangoes and salves to make sure that your health is always full. Make sure that you're not being killed by the enemy's aggression. 2. Don't forget to add some defensive items too. As a starting items a stout shield and a couple of branches will do. The branches is the preparation for a magic stick, Stout shield is upgradable to a vanguard. As the game goes, you need to get boots and a magic stick as fast as possible. Botts is so important because with boots you can at least escape from enemy's gank. The key to maximizing your early game is to know how to use the Power Cog. It can be a very tricky, The way you place your power cog in the laning phase can harass your laning enemy, Use it once in a while to drain their mana. Before starting the gank pls use the smoke of deceit if you have enough money. It makes you invisible to the enemy wards. 2. Use hookshot to jump to your target, it will stun him and damaging him. If it miss then you need to wait the cooldown. Maybe you need to count 1 2 3 and land a perfect hook. 3. If your hookshot lands on your target, immediately use power cog to trap him. 4. If you have Blademail already, then use it immediately, make sure he can't hurt you without hurting himself. Your opponent is sure to die with this combo hppefully. Cog last long so your enemy cannot move away and constantly can be harassed by you. Your friend can also helps by attacking the target while your enemy is trapped inside the cog. Find as many kills as you possibly can. Make sure your team leading in kills. By activating a blademail inside the powercog means that your oppontnt will hurt themself and can't escape a certain death inside your Power Cog with a massive amount of damage from Battery Assault and a Rocket Flare. In case you need to get out of the power cog you can use it. On the late game, you can't act alone. Here your team needs to move as five. with you as the initiator.. The fate of the team depends on you so pls be more careful with your combo. aim with full concentration, don't miss any hookshot. Pls smoke as five to make sure you are save from enemy's sight. And surprise the enemy with your immediate hookshot. If your smoke stocks is empty better to stay at the base. Also pls check roshan with your Rocket Flare. Aiming the right target is the key to success, if there is a hero like sniper who is so squishy. he is your prime target, Aim him and you win. 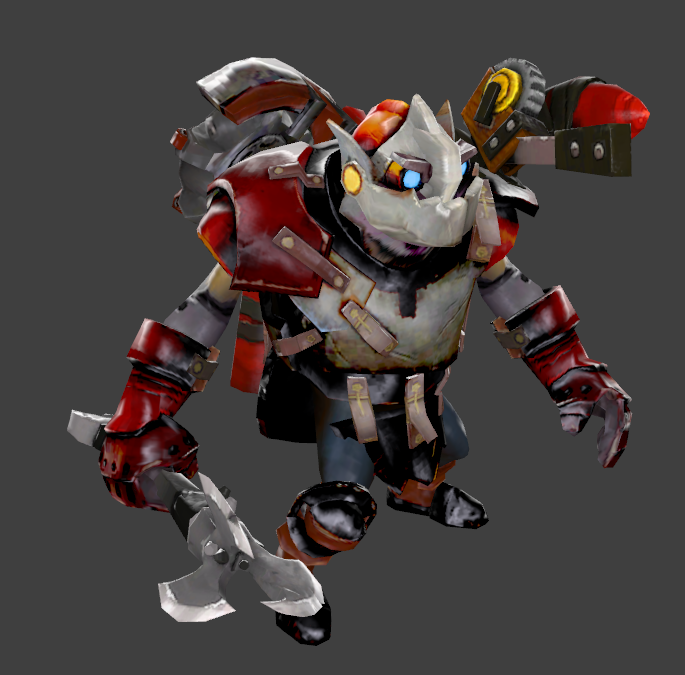 The aim of the clockwerk on the late game is to create a massive tank which can bulldoze the enemies. After you successfully hook a target, he can come in and help you out with his right click and also his ultimate. The same as nature's Prophet, he can also come in with a friend right after you landed a successful hook.